Twenty four pages of expressionist, abstract and cartoon-type visual images, which have been married up with meanings or sentiments. Use the 'Buy Now' link (left or below) to purchase Ways of Seeing as an instant download. Look out for future chapters of the first series, due to be published throughout 2014. The second series is already in process of becoming and the first two chapters are included here, free (see left). 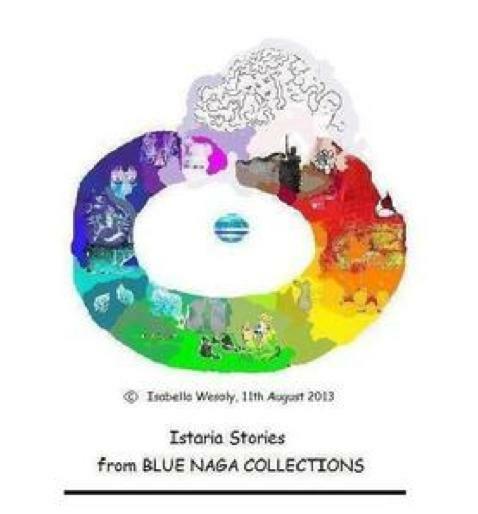 It's called 'Beyond the Ebb-stream' and follows on from where Blue Naga Collections' Istaria Stories began, in 2011. Like much of her work, inspiration was taken from Isabella Wesoly's different perspectives on life and the emotional feelings that have been turned around/calibrated through significant periods. 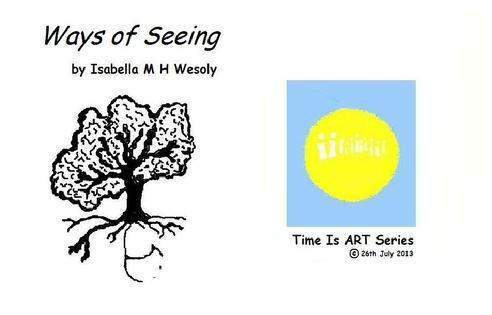 We hope that you'll take the value of our free offers and make a purchase of the E-book, called 'Ways of Seeing'. If you've read the draft storyboard and the two free chapters, you may see a deeper significance in some of the pages. Perhaps you'd like to buy the e book first and make your own connections with any emotional feelings that you've come to turn around in life, or want to.